Want to improve indoor air quality in your Houston home? Studies conducted by the Environmental Protection Agency cite that the air in most homes is up to 100 times more polluted than it is outside. 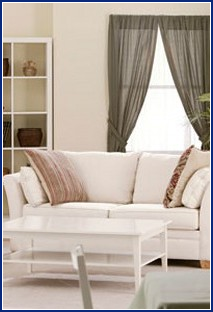 Dynamic Air & Heating specializes in improving Houston air quality indoors. We use state-of-the-art technology to filter and purify the air inside homes. • Duct-Mounted Electronic Cleaner: Breathe easier after installation of this cleaner that removes up to 94% of pollutant particles by trapping them in electrical fields. • Ultraviolet Light Treatment: Obliterate germs and pollutants with UV light waves capable of destroying viruses, mold, fungi and spores. • Duct-Mounted HEPA Filters: High efficiency particulate arrestance (HEPA) technology filters pollutants through a three-part filtration system to thoroughly purify the air in your home. Interested in learning more about how you can improve indoor air quality in Houston? Call now to consult with a purification specialist or to schedule an installation appointment. We're proud to serve customers throughout the Houston metropolitan area, including the cities of Jersey Village, Katy, Mission Bend, Cinco Ranch, Sugar Land, Cypress, Tomball, Spring and Missouri City.